Gene Simmons may have said that rock music is dead, but Lullwater, an alternative rock band from Athens, GA, is intent on keeping the genre very much alive. 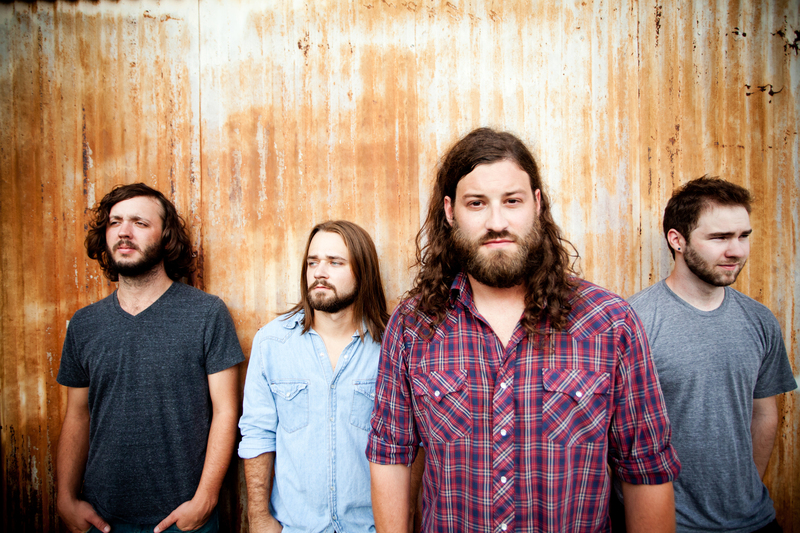 Lullwater formed in 2007 and has performed with their current lineup since 2012, consisting of John Strickland (lead vocals/rhythm guitar), Brett Strickland (lead guitar/vocals), Roy “Ray” Beatty (bass guitar/backing vocals), and Joe Wilson (drums). Lullwater’s self-titled album, released on September 17, 2013, pays homage to the grunge bands of the early 1990s who influenced their sound. Recorded on tape at London Bridge Studios in Seattle, WA and produced by Jonathan Plum, the album contains thirteen raw, energetic tracks that showcase Lullwater as a definite act to watch. I had the pleasure of interviewing Lullwater before their October 11, 2014 show at The Cat’s Cradle in Carrboro, NC while on tour with Flyleaf and Ryan White.